Looking for fun things to do while staying at the Amari Phuket? Look no further because we’ve compiled this list of fun activities around Patong Beach. Scuba Diving and Snorkeling – The waters around Phuket are between 17 to 30 metres in depth, making them perfect for both beginners and experienced divers. 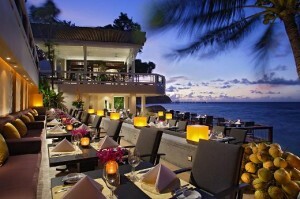 Check out the Amari Phuket scuba page for more info. Shopping – If shopping is your idea of fun – then Phuket has you covered.Jungceylon, situated on the northern end of Bangla Road, is Patong’s first expansive air-con shopping mall, and houses over 200 shops, selling everything from designer brands to handmade crafts. Muay Thai Fight – Check out an exciting Thai Boxing match at Soi Tan Stadium. Tickets are reasonably priced at around 300 – 500 THB. Party on Bangla Road – Whether you’re an aged veteran or party newbie – Phuket has something to offer you. Ask the concierge for recommendations of the best nightclubs and discos to check out. Sunset Dinner – La Gritta, Phuket’s premier Italian venue is the spot you want to be when the sun goes down. Awesome food, a great atmosphere, and the sounds of the ocean make this restraint a must. Learn Thai – If you’re staying for a little longer, why not learn the local lingo? These Thai lessons are great for really understanding the culture – not to mention learning the tricks of the bargaining trade. Phuket FantaSea – This nighttime Thai Cultural Theme Park features 3 main attractions: a mega shopping area, the worlds ‘grandest buffet’, and a Las-Vegas style Thai Culture & Illusion theatrical show featuring over 150 cast members and 30 elephants. How can that not be fun?